Yesterday I reached a main point in my writing career – I signed and sent back a licencing agreement for a short story. This may not sound like much, but, although several of my poems and stories have been published (see the Top People links on my side-bar for those wonderful magazines that have websites), I’ve never had an actual agreement before. 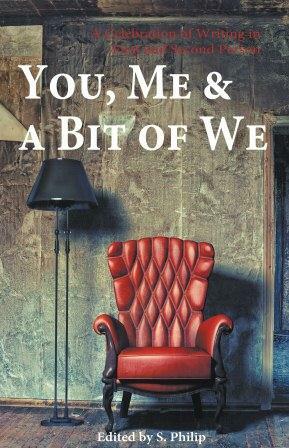 The story will appear in an anthology You, Me & a Bit of We: A celebration of writing in the first and second person from Chuffed Buff Books. It’ll be available in paperback and ebook. It’s an interesting concept. I’ve never read any stories in a ‘we’ voice and rarely in ‘you’; I’m looking forward to discovering what the other contributors make of them. 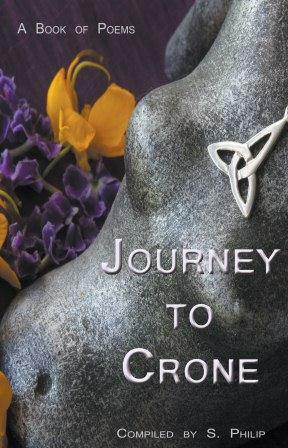 Chuffed Buff have other anthologies out, including one of women’s poetry, Journey to Crone. This will, IMO, resonate with many women’s experience. It looks at the traditional life passage from maiden to mother to crone. Crone is not the negative life-stage many associate with the word. It’s the stage of wisdom, knowledge and clear-sightedness. The idea is commonly found in the pagan faith community, but also in others that emphasise respect for elders. Other writers may find Chuffed Buff calls for submissions of interest. One is for a poetry anthology, Poetry & The City, and one for science fiction novellas/novellettes. Anthologies devoted to a theme often bring about a rethink and reassessment of their subject. It’s like putting a concept under a magnifying glass and peering at its detail. Congratulations – sounds like a fascinating anthology. Thank you for stopping by and for your comment. I agree, it sounds like the anthology will be very interesting. Congrats! Good to have reached that milestone. Have you got the champagne on ice yet? Thank you for stopping by and making such a nice comment. I’m not that keen on champagne, but I did have a beer. Congratulations!! Having a publisher like your work is a big deal and I hope this is the beginning of something big for you. Hi Hank, Thank you so much for your encouraging comment. Cheers. Well done you, how exciting! Thank you for stopping by and making such an encouraging comment.